I don’t want to go to School! mixedbag November 5, 2015 June 26, 2016 4 Comments on I don’t want to go to School! The last couple of months have been a difficult time for my toddler, M and me. She started preschool in September and for the first time in her teeny-tiny life, she has had to stay away from me. And I’ve had to stay away from her (which is equally difficult), although just for a few hours, twice a week. The first week, she actually waved goodbye to me when I dropped her off. I couldn’t believe my luck! What is this separation anxiety that people keep talking about? But the second week, it kicked in. Separation anxiety in its full glory. Uncontrollable crying and clinging to me. And on the days that goodbyes were smooth, I would wait for “The call” from her teachers, asking me to pick her up as soon as I could. M can be a very persistent crier! And I would drop everything and run. A month into the school year and things weren’t getting any better. I admit I was pretty anxious sending her to school. I can only imagine what it must have been like for M. I’m sure it’s like the world around them is crumbling. To leave the familiarity of home and the only comfort they know – their mom, and spend what seems like an interminable amount of time with complete strangers. It is cause for anxiety! But with guidance from her wonderful teachers and some great books, we’re making headway. Here are some tips which have helped us a great deal in easing her (and mine) separation anxiety. 1. We played pretend school at home. A rehearsal of what was coming the next day helped her understand what to expect. Toddlers do not like surprises. 2. We sent a small album with family photos with her. Every time I dropped her off and she started to cry, her teacher would ask her to show her mommy and daddy’s pictures and that soothed her. 4. I always made it a point to say goodbye. Never sneak out. I think it’s scarier for kids to see their parents have simply disappeared and they have no idea when or if they will be coming back. 5. 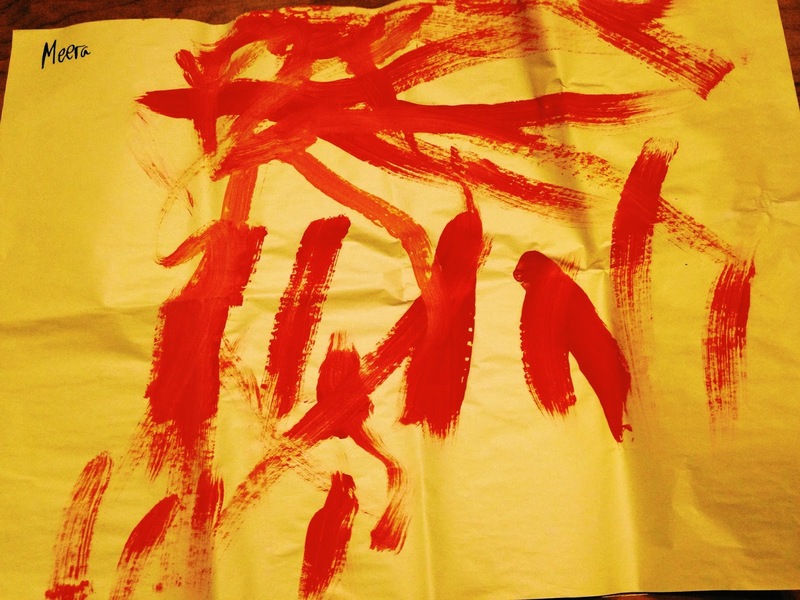 Children are great at sensing how their parents feel. So I tried to be calmer and trusting in her teachers to take good care of her. 6. She takes her stuffed penguin to school. It’s her little piece of home. Chester Raccoon doesn’t want to go to school, he wants to stay with mom and play with his toys instead. 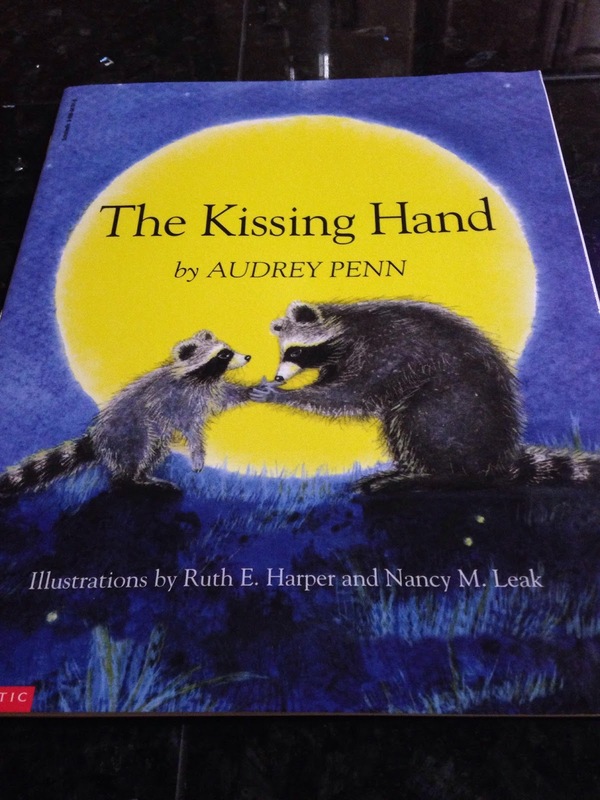 So Mama Raccoon kisses Chester’s hand and tells him that he only has to press his hand to his cheek whenever he misses mama. So Chester promptly places a kiss on his mama’s hand too, so it would comfort her when he’s away. It’s an adorable book! The Llama Llama books have been M’s favorite, so this one was perfect for her. Little Llama’s first day at school. He has ‘strange new teachers, strange new toys, lots of kids and lots of noise” And when Mama Llama leaves, he wonders if she will ever come back. 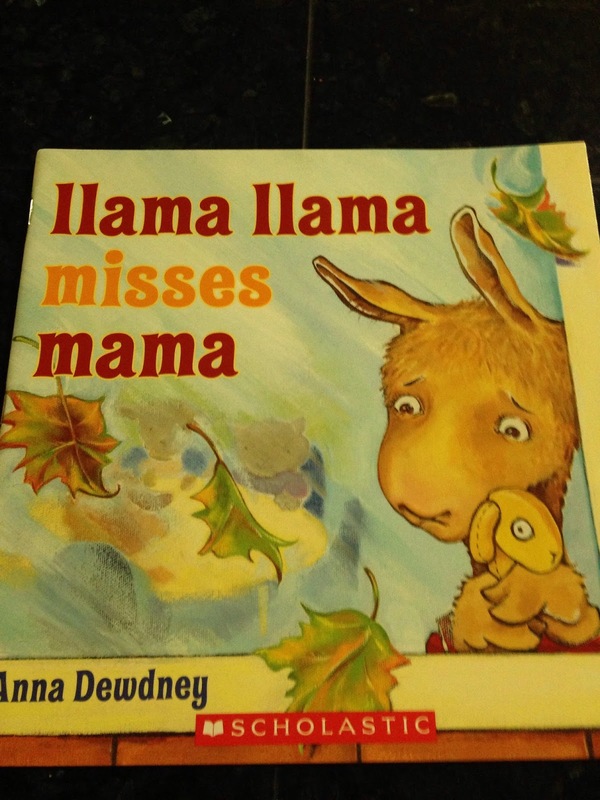 M always goes through the separation pages with a glum face but I love looking at her face light up when Mama Llama comes back at the end of the book. 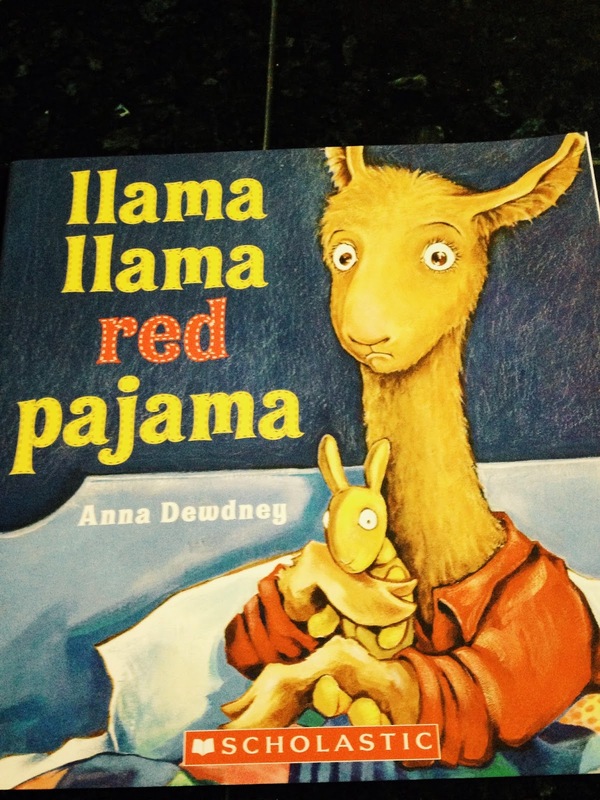 Llama Llama Red Pajama is about the anxiety that little Llama goes through when Mama Llama has tucked him in bed, put the lights out and has gone downstairs to finish her chores. His whimpers turn into full blown hollers when Mama Llama doesn’t come right back (Llama Drama!). But Mama does come back and gives him the reassurance that Mama will always come back and that she is always close to him even when he doesn’t see her. We have gone through this few years back. It was hard one especially on the kid. It is hard. They learn eventually but the first few weeks are so trying! Thanks Indrani. I'm happy to see some good feedback on this post. I'm hoping it will help other first time moms who are going through this phase.